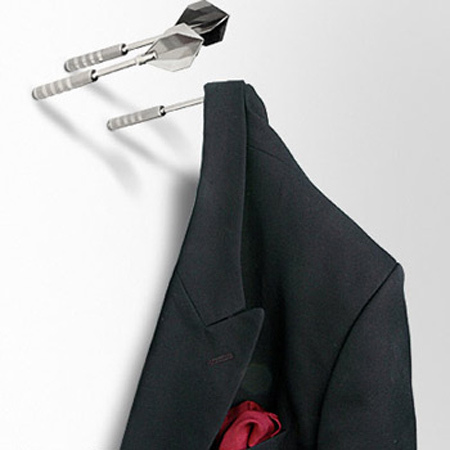 The most unusual coat hangers and creative modern wall hooks designed to hold your towels, keys, clothing and handbags. Easily wall mountable cast of the designers hand acts as a modern coat hanger or key holder. 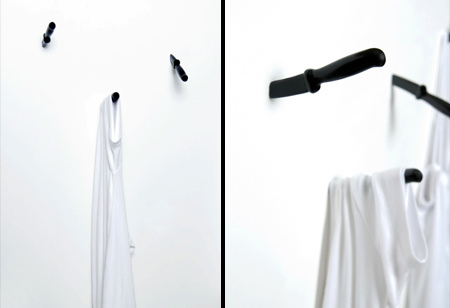 Creative wall hooks designed to scare off unwanted guests. Unique hanger designed to get people to use less energy. You can either hang something on it or turn on the lights – you can’t do both. 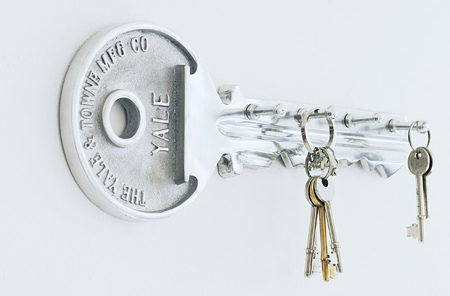 Keep your keys safe with this clever key shaped wall hanger. 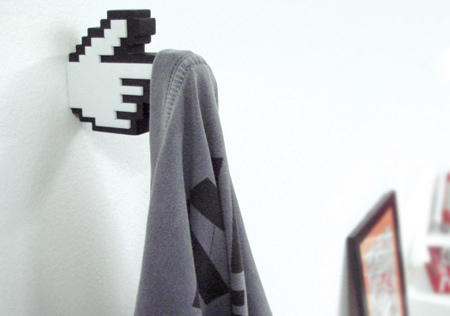 Cool joystick inspired coat hooks designed by Felipe Morales. These cool stainless steel darts are tipped with screws that allow them to function as wall mountable coat hooks. 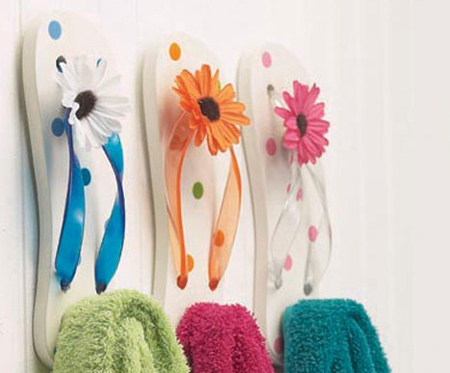 Stylish wall hooks for your towels shaped like colorful flip-flops. 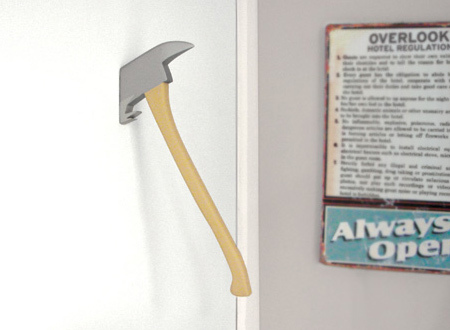 This shinning axe shaped coat hanger will not go unnoticed. 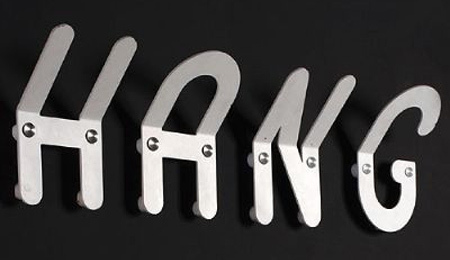 Four oversized stainless steel letters double as clever wall hooks. 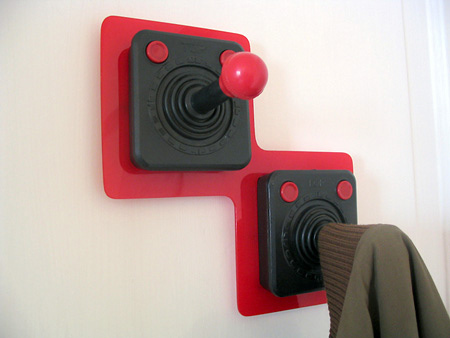 Mount it to your wall and then use it to hang your non 8 bit stuff. 8-bit rocks! it also reminds us how we – human, have developed. All brilliant ideas, just do not like the flip flops one though. 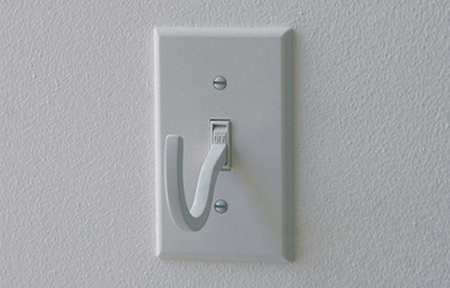 The light switch hanger.. shouldn’t it turn off when nothing is hanging on it since you are out, and on when you are home and hang your coat on it? It makes more sense, I think. I was thinking exactly the same as G, surely the light switch hanger should work the other way around? Nice post! I agree, the 8-bit hanger is so great! 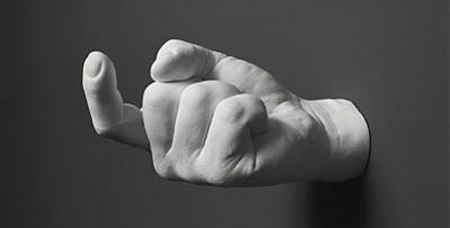 remind me back with old joysticks…..
the hand hook is a good for hanging crap and wait, wait and diggin for gold! Especially like the flip flops…I’m a flip flop girl. Just perfect for my beach house. These hooks are so innovative and look great! Loving the 8-bit and retro hooks!